Last Night's "Thinking Big" Party: How Do We Build a New Generation of Really Big Companies in Massachusetts? I've been interested for a while in the question of how we can build a new generation of "pillar" companies in Massachusetts...companies like EMC, Lotus, DEC, Akamai, Genzyme, and Boston Scientific. Last night, a group of folks put together a cocktail party to talk about the issue. 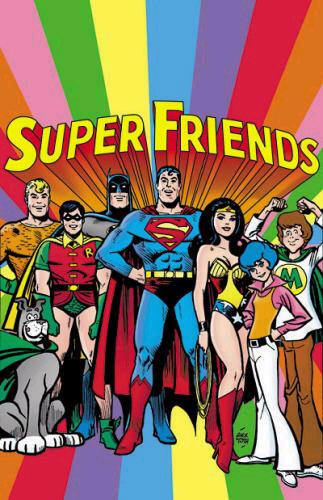 It was an amazing crowd -- it felt like someone had summoned the 'Super Friends' to the Hall of Justice. George Hatsopoulos, founder of Thermo Electron, was there, as was Bill Warner, founder of Avid Technology, Carol Vallone, CEO of WebCT, Scott Griffith, CEO of Zipcar, Tim Healy, co-founder of EnerNOC, Rick Hess, CEO of Konarka Technologies, Aron Ain, CEO of Kronos, Jonathan Seelig, co-founder of Akamai, and Robert Coughlin, the new head of the Mass Biotech Council. At one point, Russ Wilcox of E Ink was showing off a new Amazon Kindle e-book reader, which uses a screen made by his company. Wendy Caswell, CEO of ZINK Imaging, was our host, and the firms KMC Partners, Goodwin Procter, and BSG Team Ventures helped underwrite the event. Dan Bricklin has some photos and an audio recording of the discussion. Paul Maeder from Highland Capital Partners touched on some of the same issues he brought up at a lunch last month: "We have been selling the seed corn," is his assessment. Here are some of my thoughts on the evening's "main event" -- a conversation that Maeder and Michael Greeley of IDG Ventures led, with my help and lots of input from the crowd. 2. They tend to attract media and Wall Street attention, which lets the world know something important in their sector is happening where they are based. They also hold conferences for customers/users... think of the annual MacWorld conference in San Francisco as an example. All of this sends a message that a particular place is a center of gravity, which brings more people interested in that area -- and more small companies -- to that place. 3. They tend to think like acquirers rather than acquirees. 6. They make it easier for companies in their space to recruit people to the area. Say a consumer tech company in Boston -- like Bose -- is trying to bring a marketer in from the West Coast. That person, should things not work out at Bose, will not have a lot of other wonderful choices of other employers here in the Boston area. Same is not true when a chip company like Intel tries to recruit people from anywhere in the world to move to Silicon Valley. 7. They pay more taxes. 1. Entrepreneurs need to have a jones to build a big, important company. The typical New England VC will not push them to brush off acquisition offers and stay independent. 2. Big companies get their start by discovering emerging sectors and opportunities. I don't think we're going to build an important, independent new PC company in Boston, or a networking equipment company, or even a medical device company. Boston Scientific got big because they saw the opportunity for less-invasive medical procedures before anyone else. Invent a cool new medical device today, and you're basically gonna get integrated into the product line of someone like a Boston Scientific or Medtronic before you have a chance to launch a second product. 3. So that means we need to support entrepreneurs dedicated to building pillar companies in new, as-yet-undefined market sectors. (Avid, which helped establish the market for digital video editing, is a great example.) I think the media -- that's me -- plays a role, and I'm gonna do my best to focus on entrepreneurs working on these new frontiers. But angel investors and VCs also play a role (can they avoid the temptation to fund a serial entrepreneur doing his seventh enterprise software start-up, instead of a first-time entrepreneur who is breaking new ground?) And finally, entrepreneurs and executives who have built really big companies need to give back. This does not just mean donating to or speaking at their alma maters. They ought to be serving on boards, or as informal advisors, to a handful of interesting start-ups in or near their areas of expertise. Some do, but too many don't. Dharmesh Shah, founder of HubSpot, offers a different perspective on his blog. A reading device must be sharp and durable, [Jeff] Bezos says, and with the use of E Ink, a breakthrough technology of several years ago that mimes the clarity of a printed book, the Kindle's six-inch screen posts readable pages. ...This decade's major breakthrough has been the introduction of E Ink, whose creators came out of the MIT Media Lab. Working sort of like an Etch A Sketch, it forms letters by rearranging chemicals under the surface of the screen, making a page that looks a lot like a printed one. The first major implementation of E Ink was the $299 Sony Reader, launched in 2006 and heavily promoted. Sony won't divulge sales figures, but business director Bob Nell says the Reader has exceeded the company's expectations, and earlier this fall Sony introduced a sleeker second-generation model, the 505.